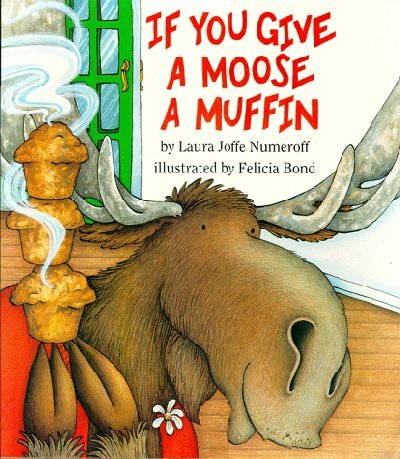 If you give a moose a muffin, he'll want some jam to go with it." So begins the most logical silliness to be found anywhere. Readers will follow a young boy and his voracious visitor through a series of antlered antics: jam reveries and puppet shows and big messes. It all makes perfect sense, really, once you stop to think about it. What moose wouldn't want to borrow a sweater when it's cold outside? And why shouldn't the loose button on the sweater remind him of his grandmother? The moral of the story? Keep plenty of muffin mix and blackberry jam in your cupboard. You never know who may drop by.